It was a great day in Richmond at the UNAC conference. The connections being made by the string of excellent speakers is more than inspiring. Our panel on the Asia-Pacific today (pictured above) included speakers from Korea, Philippines and the US. It was well received by the audience. I've been hanging out with folks from Veterans For Peace who live in Georgia, Florida, and North Carolina and they are deeply impressed by the conference and the quality of activists participating in the event. Our VFP group took a break in the afternoon and went for a long walk through downtown to the river where we crossed the body of water using a narrow foot bridge. It was good to get away for a bit and have a chance to process what we have been hearing. It was really quite impressive to listen to reports from speakers from Ukraine, Poland, Hungary, Serbia, and Russia about their perceptions of US aggressive military operations throughout eastern Europe as NATO expands up to the Russian borders. Speakers from Latin America shared about the current wars they are experiencing as the US tries to undermine governments and take back control in that part of the world. The speaker from the Congo blew my mind. Presentations about Palestine, Syria and Iran were stunning. Black and Hispanic activists from throughout the US articulated how their communities are under constant attack by the police and other institutions who seek to return America to days gone by when people of color lived in constant fear for their lives. But throughout all the reports of bad news is a strong strain of hope and defiance as local activists continue to organize movements of resistance against the attempts to reintroduce feudalism - a corporate version. People in the US and around the world are not collapsing in despair and instead press on with love and determination - demanding peace with true justice. The thread that runs through the conference is the clear understanding that capitalism is in crisis as the greedy quest for profit at the expense of the people and our Mother Earth must be rejected. Capitalism and human rights are incompatible. Capitalism and environmental justice are incompatible. One speaker, Jaribu Hill (attorney and founder of the Mississippi Worker's Center for Human Rights), summed it up well this evening when she said that we've all tried the 'Democratic Party thing' and have come to realize that only independent political action will pull ourselves out of the fire. We can't keep going back to the corporate dominated political parties thinking that they are going to offer any real solutions. Everyone agrees that we must build greater unity among our various movements if we hope to turn the tide. This crowd in Richmond understands the score. It's a shame that everyone I know can't be here experiencing the diversity, courage, beauty and clarity coming from this UNAC conference. 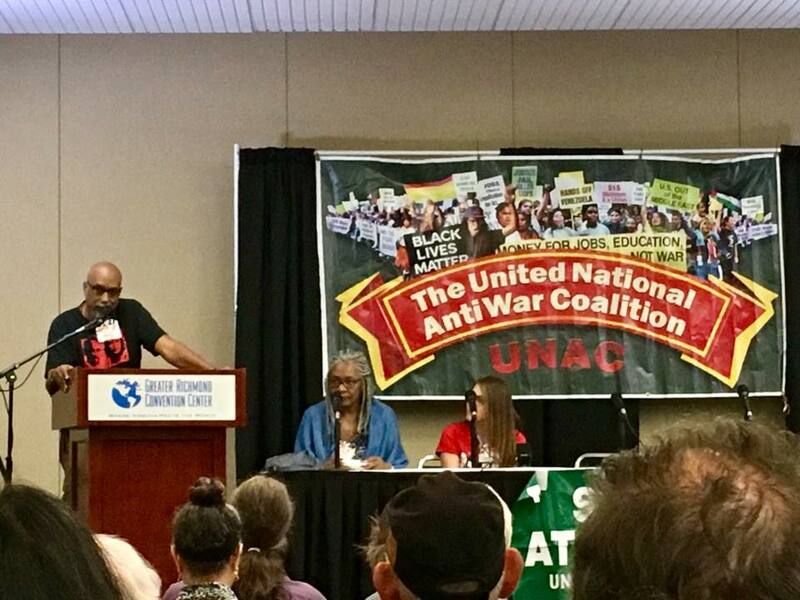 The UNAC conference began with a strong series of wonderful speakers this evening in Richmond, Virginia. Ajamu Baraka (Green Party Vice-President candidate in the last election) pictured above announced the recent formation of a new organization called Blacks for Peace. 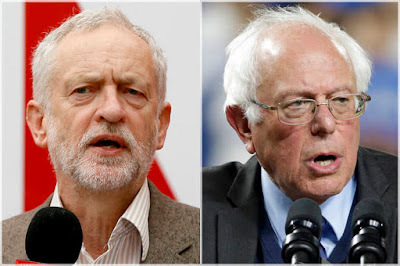 He made the case that US endless wars and the harsh domestic austerity cuts impacting poor and working people must be addressed at the same time. Several speakers mentioned the fact that Richmond was the capital of the Confederacy during the Civil War and in many respects things have not changed so much. Virginia is also the largest recipient (per capita) of military spending in the nation. 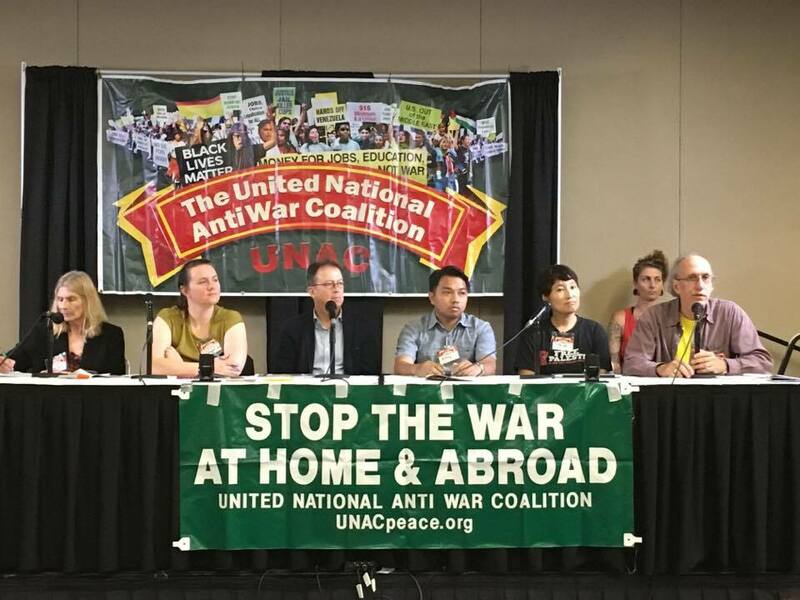 I congratulate UNAC for holding this conference in the south - where it is truly needed. I am rooming with Will Griffin (VFP and new Global Network board member) and we've spent the last 24 hours transferring much of my years of experience in the peace movement from my brain to his. Things get going again at 9:00 am in the morning with more plenary speakers and workshops. I will speak about the Pentagon's recent THAAD 'missile defense' deployment in South Korea in the morning during a plenary panel and then will speak in two different workshops - one on the Asia-Pacific 'pivot' and the other on NATO expansion into Eastern Europe up to the Russian border. One of the activists I met in Odessa, Ukraine when I went there on a peace delegation in 2016 is here and before things began at the conference she shared with me that the climate for peace people there is quite bad as the Poroshenko puppet government continues to round up those opposing the reactionary US supported regime. It is great to see so many key organizers/activists from around the country that I've met over the years here in Richmond. And it is a great treat for us to be listening to so many outstanding folks who have devoted their lives to serving the present age. I am so glad I am here. It feels like family to me. I am on an Amtrak train from Boston heading south to Richmond, Virginia where I will join the UNAC national conference over the weekend. While there I am scheduled to speak on a panel in a plenary session about the highly controversial Pentagon deployment of the THAAD 'missile defense' system in South Korea. In addition Iraq and Afghanistan war veteran Will Griffin and I will conduct a workshop on the broader US militarization of the Asia-Pacific region. 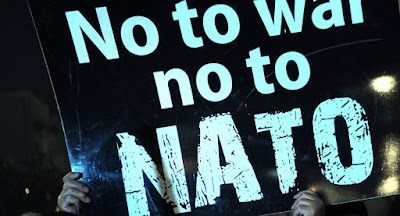 Washington and its NATO allies are now moving that cancerous 'alliance' into the Asia-Pacific and have signed up Japan, South Korea, Australia, New Zealand and Singapore as 'partners'. All of this is aimed at Russia and China - conveniently using North Korea as the excuse for the war mobilization. UNAC is a very interesting coalition - the Global Network decided to affiliate with it a couple years ago. I'd say it is the most dynamic national peace coalition going these days - holding an annual conference and bringing together not only white peaceniks but also many activists of color who work in the peace, justice, human rights and environmental movements. I've attended many meetings over the years where a roomful of white activists inevitably mumble about needing to get 'people of color' to the meetings but UNAC is one of the few organizations that I've seen actually do it on a regular basis. Some of the greatest Black, Hispanic, and Muslim activists in the country and from around the world will be featured at the event. I understand there will be live Internet feeds of some of the speakers. You can find out more here. I am pro-union and my first job after the Air Force and college was working as an organizer for the United Farm Workers Union in Florida — organizing fruit pickers. A couple of years ago I was invited by a union member to march with BIW workers who were protesting against General Dynamics’ management efforts to slowly but surely break the union at the shipyard by outsourcing work to non-union shops. I eagerly joined the protest. Over the years I’ve heard directly from scores of BIW workers about their grievances against the company. Not only has GD come to the city of Bath with silver cup in hand (while its top CEO was pulling in multi-million dollar bonuses) asking for more tax breaks, but over the years the corporation has repeatedly gone to the state demanding tax cuts, always threatening to leave Maine. GD has done little to diversify away from all-military production at BIW, whether into commercial shipbuilding, or other major nonmilitary production. So when the military contracts slow down, workers get what amounts to permanent layoffs. GD frequently brings in nonunion middle managers and poorly trained supervisors who don’t know much about the ins and outs of shipbuilding in any given aspect of production, causing delays and inefficiencies for which the unions get blamed. Major nonmilitary production capable of employing many hundreds, if not thousands, would be a big plus at the shipyard and I know that many workers support such a direction. With Trump announcing he intends to pull the U.S. out of the Paris Climate Change Accords our hopes for dealing with the harsh reality of global warming has taken another severe blow. The U.S. military has the largest carbon bootprint on the entire planet. Official Washington ‘insisted’ that the Pentagon be exempted from monitoring by the Kyoto climate change protocol and the recent Paris agreement made reporting of military impacts optional. In Holland, all electric trains are now run on wind power. Offshore wind turbines and commuter rail systems could be built at BIW as could tidal power and solar power systems. All that is needed is the political will. The abolitionist Frederick Douglass said, “Power concedes nothing without a demand. It never did and it never will.” We need to make these demands if the future generations are to have any hope for survival. The workers and unions at BIW can’t make this kind of conversion (or diversification) happen by themselves. They are daily fighting to enforce their contract with GD and are largely consumed with trying to prevent layoffs. Former Columbia University professor of industrial engineering Seymour Melman called our present system “Pentagon-managed state capitalism.” Melman reported that the USA by around 1990 had substantially lost its skills base in machine tool-related (and other highly skilled) industrial production, including in commercial shipbuilding — largely due to over concentration on military production. The peace community does protest frequently at BIW, but we are not targeting the workers. We are trying to create a dialogue in the community around the need for a just transition towards more sustainable, less boom-and-bust types of production at BIW. We understand that General Dynamics is the entity that holds the power to make these big decisions — along with our elected officials like Collins, King, Pingree and Poliquin. We know that the workers and the unions have ideas about things that could be done at BIW to stabilize employment at the shipyard. They should be given a key role in envisioning what might be built more sustainably. But none of this will happen unless the peace community, the environmental community, the religious community, labor unions, local political leaders, and the general public become advocates for a change of direction from endless war toward dealing with climate change NOW by transitioning facilities like BIW. The workers are currently hostages during this time of political negligence where nothing gets done. I for one stand with them and urge everyone in the community to help push things along so that the environment, the community, and the workers come out on top. I get fantastic treatment from the Veterans Administration (VA) health care system. It's been about three years that I've been getting free and excellent full health care coverage from the VA. My only complaint is that every American citizen should be getting this same kind of care. Call it what you want - single-payer or Medicare for all - everyone deserves it. 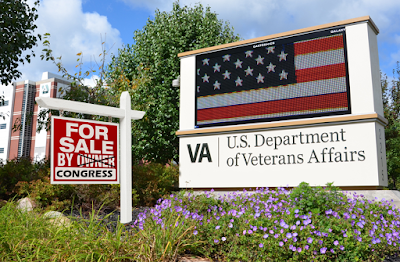 But the corporate health insurance industry sees the VA as a threat and an opportunity. If they could privatize the VA system then massive amounts of federal tax dollars could be shifted into corporate coffers. With Trump in the White House, and Republicans controlling Congress, it appears as though they are going to attempt to do just that. We are working on efforts to stop privatization of the VA Healthcare system and cuts to Medicaid both of which greatly affect our brothers and sisters who have served in the military along with their families. It is being talked about that the Republicans are going to take a stealth vote on the ACA, and Medicaid before Congress recesses. There may be language in there about the VA system too. From what I understand they are a few votes away and your Senator Collins may be instrumental in defeating the bill. We have a committee at the Smedleys working on this issue. We have one member in particular Bob Master who is with a national organization called Community Catalyst that is working very hard with the Senate in getting this defeated. Bob was a front line field doctor with the 101st airborne div. in Vietnam, and has been instrumental since the 70s in forming alliance with providers, community groups and governmental agencies to develop a care delivery system for low income communities to improve lives. He and his wife Susan have also been out to Standing Rock twice. He may need to contact you and get information and your support on this vital issue for vets. I immediately forwarded Dan's message to Maine VFP leadership and sent a personal message to Sen. Collins on this important issue. If you'd like to write her as well and tell her to leave the VA alone you can do so here. Journalist, best-selling author Max Blumenthal and former FBI special agent Coleen Rowley say that while former FBI Director James Comey's testimony offered almost nothing new, that won't slow the fixation on Trump's alleged Russia ties, not his actual policies. The real question that should be asked: What is this so-called investigation really distracting us from? Through the insights of whistleblowers, investigators, prosecutors, military and industry insiders SHADOW WORLD reveals how the international trade in weapons – with the complicity of governments, their militaries and intelligence agencies, defense contractors, arms dealers and agents – fosters corruption, determines economic and foreign policies, undermines democracies and creates widespread suffering. Ultimately SHADOW WORLD reveals the real costs of war, the way the arms trade drives it, how weapons of war are turned against citizens of liberal democracies and how the trade inhibits rather than enhances security for us all. In shedding light on how our realities are being constructed, the film offers a way for audiences to see through this horror, in the hopes of creating a better future. This is Craig Murray, a former British Ambassador. His experience of the Iraq war should help clarify your world view. "I've seen it from the inside and it is almost always about control of resources. [...] Westminster stinks. The British Government is deeply, deeply immoral. They don't care how many people they kill abroad if it advances them." Murray is now a human rights activist. He is talking about war crimes - violations of international law. 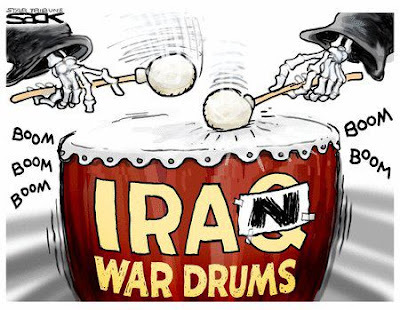 That means all the US and UK politicians who started and have continued these illegal and immoral wars should be tried and be held responsible for crimes against humanity. It's unseasonably hot here in Maine this week and snowing in California. Our Mother Earth's body is in toxic shock and she is thrashing about. According to a recent report published by the Medical Society Consortium on Climate and Health, climate change is becoming a serious public health enemy. Although there are reports that Daesh has accepted responsibility for these attacks, the key issue for us is that they have taken place only days after the visit of the US President to Saudi Arabia during which he met and discussed regional issues and his plan for a “new” Middle East. The provocative and dangerous statements by the US President and his Saudi hosts in singling out the Islamic Republic of Iran as the main source of terrorism in the region could not but give the green light to the dark forces being trained and prepared in advance of such actions. ADPSD-Iran, while condemning the murderous Daesh as the immediate perpetrators of these barbarous acts, places the ultimate responsibility for these attacks squarely on the shoulders of the US, Saudi Arabia and their allies [Israel] in the Middle East. There is ample evidence that each of these have had a part in instigating these terrorist attacks. Abby Martin is the creator and director of "The Empire Files" on teleSUR English. Previously she hosted "Breaking the Set" on Russia Today. She founded the independent media site Media Roots and is a board member of Project Censored.